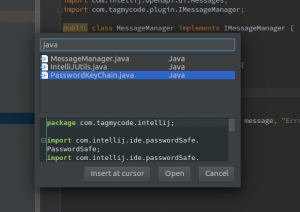 We are happy to announce a new major release (v2.0) for our supported IDEs: IntelliJ and NetBeans. The big change of this release is that now snippets are stored locally and synchronized with the server. All the snippets are listed in a table and you are able to manage them directly from the IDE. See documentation page for installing plugins. 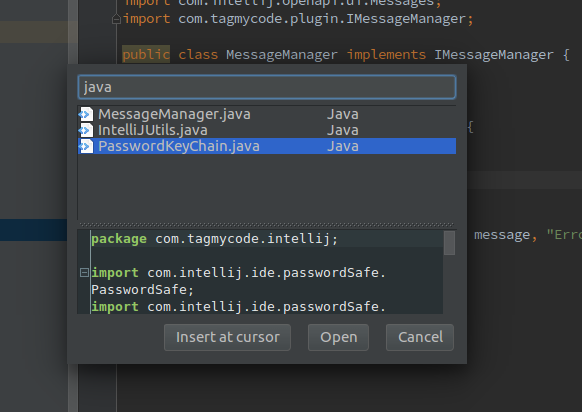 We are excited to announce the launch of the second IDE plugin for TagMyCode. Now it’s time for JetBrains IntelliJ Idea and also all the related IDE, such as RubyMine, WebStorm, PhpStorm, PyCharm, AppCode and Android Studio.